Love this shade, very pretty :). 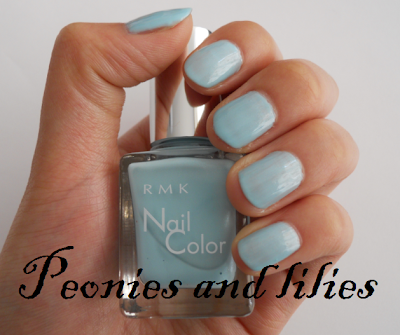 Love this, where can you buy the RMK nail polishes? That color is beautiful. So feminine! What am I currently wearing on my nails? Hmmmmm, let's see. Absolutely nothing. Except some leftover coppery polish on my toenails. I desperately need to paint them again! I have neglected them for like, months.